But why should you care about birthdays? Birthdays are important because age affects your life insurance more than any other factor. Good point but you can always quit and make yourself a non smoker. You can’t make yourself younger. 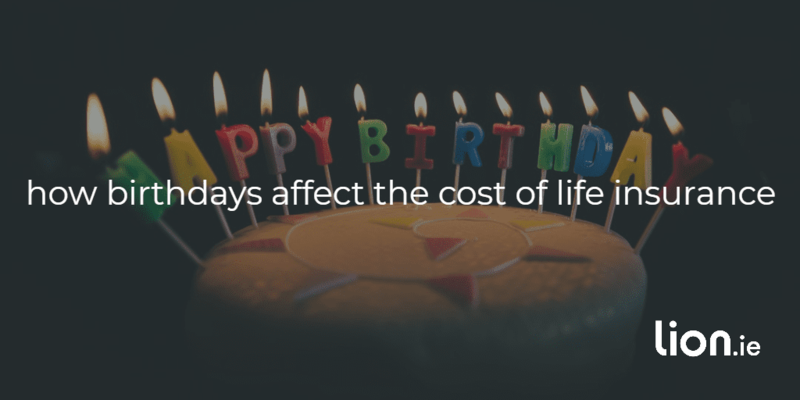 With every birthday, the price of your life insurance will increase. But you can avoid this by backdating your policy. I remember explaining backdating to my wife and she thought it sounded illegal. She was getting confused with backdating car insurance which IS illegal. Backdating life insurance is a legit way of reducing the cost of your cover. Age affects your life insurance. The cost of life insurance increases with age. Based on life expectancy the insurer is more at risk of a claim from an older than a younger person. A 30 year old pays more for her cover than a 29 year old, a 44 year old pays more than a 43 year old etc. Some examples will clear it up. Let’s quote for €250,000 over 25 years. A 29 year old will pay €14.21, a 30 year old will pay €14.83. That’s a 5% increase. A 39 year old will pay €24.45, a 40 year old will pay €26.70. That’s a 9% increase. Brian, a 59 year old will pay €278.53, but as a 60 year old he’ll pay €353.70. That’s a 27% increase. Taking out the policy as a 60 year old will cost Brian €22,500 more over the life of the policy compared to him taking it out as a 59 year old. Being one day older costs €22,500! Brian can avoid this by backdating his policy. Imagine Brian hits 60 on the 15th December. Today is the 17th December. We can change the start date of his policy to the 1st of December making him 59 and locking in the lower price. He must pay December’s premium but long-term it’s a small price to pay. How far back can you backdate life insurance premiums? 3 months is usually the longest the insurers will allow you to backdate your policy. So if you have had a birthday in the last 3 months you can get a cheaper price. Some insurers will backdate to 6 months but this is on a case by case basis. Let me know if you’d like me to look into it for you. How much will I save if I backdate my mortgage protection? Subtract what you would pay each month if you were a year younger from what you would pay per month if you were a year older. Multiply the answer by 12, multiply this by the term (years) of your policy. Using the example above, here’s the maths. €70.22 – €62.71 = €7.51 x 12 = €90.12 x 25 = €2253 savings. Backdating the policy for 6 months will cost €€62.71 x 6 = €376.26. This adds up to a saving of €1877 over the life of the policy. Not too shabby I think you’ll agree. Age affects your life insurance when it comes to medical requirements too. The older you are, the stricter the life insurance underwriting is. A 49 year old might get cover based on an application form alone whereas a 50 year old may have to go for a medical. The medical could affect your premium if it shows up a health condition you were unaware of. Unfortunately, you can’t backdate your age to avoid a medical. You can only plan in advance by applying before you hit a milestone age. Is there a maximum age that I can apply for life insurance? 74 is the cutoff for life insurance, you can get over 50s cover to age 80. Maximum age for life insurance. Are you considering life insurance with a birthday fast approaching? Have you just celebrated a birthday? Either way, get in touch using the form below. I’ll show you how to backdate your policy. Age affects your life insurance but with my help you can be like Dorian Gray! If you prefer the phone, I’m on 05793 20836. 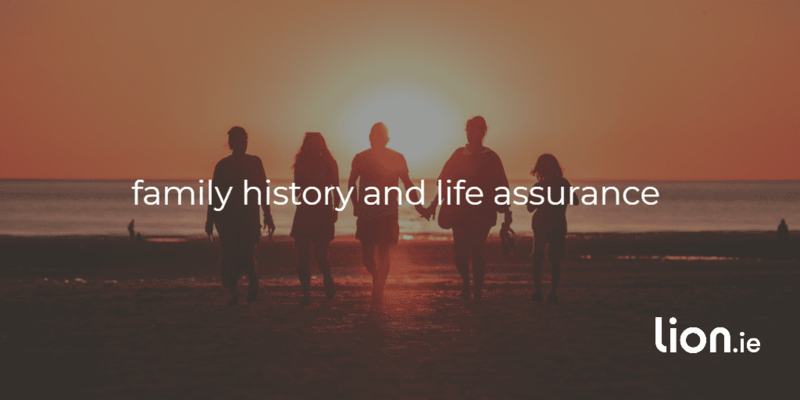 How Does Your Family Medical History Affect The Cost of Life Insurance?